Detailed information and reviews of US companies and contractors offering landscaping and gardening design, lighting and maintenance services. Post your requirements and receive no obligation price estimates and quotes. Quotes for mowing and flower bed maintenance - Interested in estimates for upkeep of flower beds and lawn mowing. 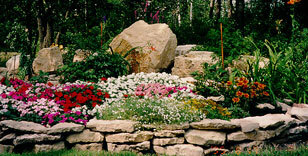 Ideabox Landscaping - Approx. 4000 sq ft to landscape with rock, a drip system and plants.